After last year, Greece recorded a record for tourism - about 27.5 million. Person, this year, as expected, the number of visitors in the country will increase to 30 million. As the Swiss edition Neue Zürcher Zeitung writes: "Traditionally, most foreign tourists come to Greece from Germany. 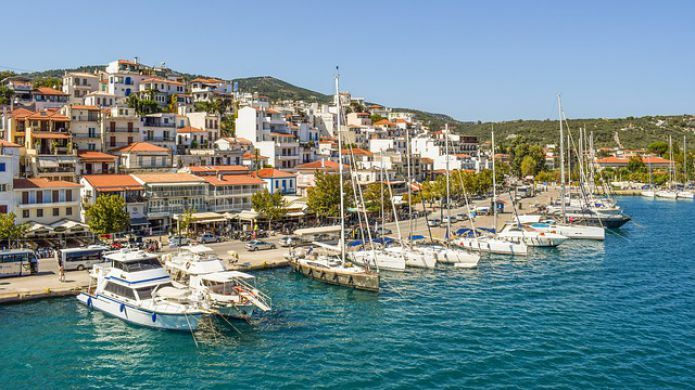 This year their number is expected to increase by another one million and equals to three million, according to calculations by the Greek Ministry of Tourism. In addition, Greece, as a country for summer vacations, is highly appreciated by citizens of France, Britain, Austria and Switzerland. " The publication stresses that Greece needs money from tourists. Last year, tourism industry revenues amounted to 13 billion euros. This year, according to the Ministry of Tourism of Greece, the total income can grow by 50%. "However, the newspaper writes," the country's tourism climate is not so favorable "due to the increase in taxes and the reduction of personnel in the tourism industry, which can not but affect the quality of the services provided. Greece is a priority not only because of the beautiful nature, but also because this year fewer tourists will go to Turkey due to the instability of the situation in the country.